How to visit the Barrio Gotico? Walk around the little streets around the Cathedral. Discover the most old antique dealers, or the feathers and umbrellas' merchants in the street Banys. 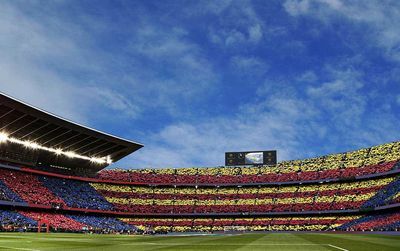 It is here, where took place the most determining historical events of Barcelona. Construction began in 1298. 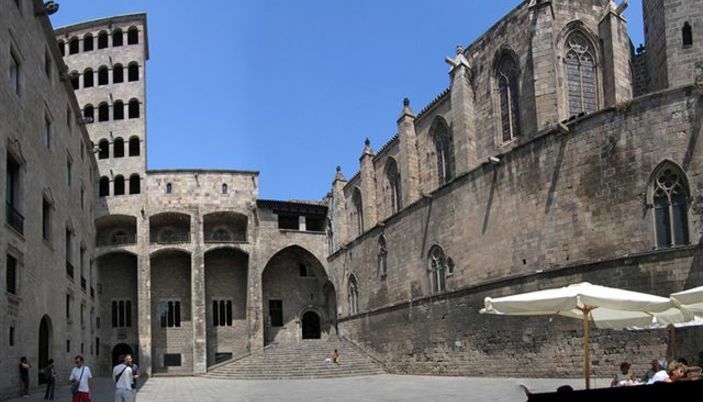 The cathedral faces onto the Plaça de la Seu in the center of the Barri Gòtic area of the old city and is surrounded by other remnants of Barcelona's past - notably some Roman remains and various medieval structures. 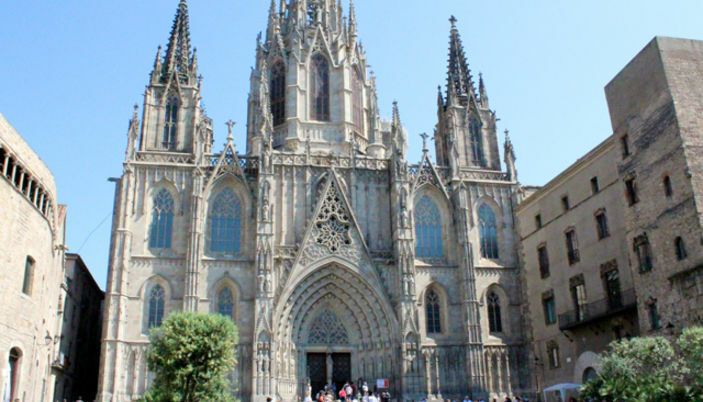 The main facade is dominated by the massive main door and the central spire. Oddly sited, the spire is placed to the front of the building instead of the more usual position over the crossing of nave and transepts. To either side of the building are two simple towers which are only visible from the sides and rear of the cathedral. Access to the roof can be from the northern transept via a small lift. 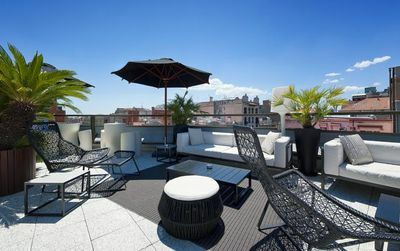 There are excellent views over the city as well as a close-up view of the central tower. The interior of the cathedral is suitably impressive with a fine nave and soothing cloister. Back in the Roman period this square was (and still is) where important government buildings were found. 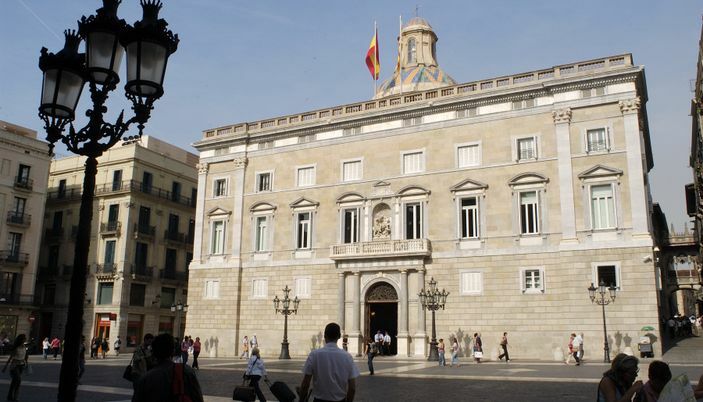 On one side there is the Palace of the Generalitat (the government of the Autonomous Community of Catalunya) and on the other stands the City Hall. This square has been witness to some of the most important events in recent Catalan history, such as the proclamation of the Catalan State in 1931 or the return of Josep Tarradelles from exile in 1977. 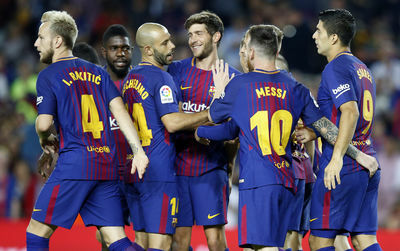 On Sunday mornings, people come to dance the Sardana, the national dance of Catalonia -- it's a very Catalan moment and worth checking out. Opening hours : Monday to Thursday from 10am to 2pm and from 4pm to 7pm, Friday from 10pm to 2pm. Opening hours : Tuesday to saturday from 10am à 2pm then from 4 to 8pm. 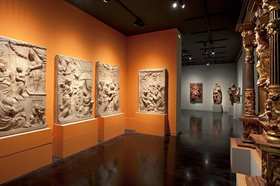 Frederic Marès, the founder of this museum was a sculptor, historian, and a teacher. 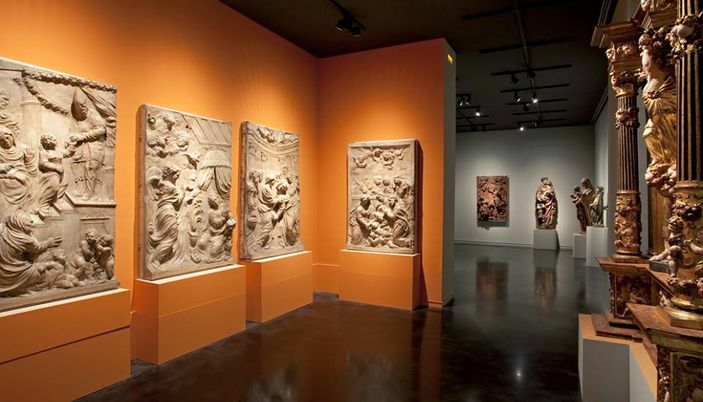 Its heterogeneous collection includes the most important gathering of Hispanic sculpture from the 12th to the 19th centuries in Spain. 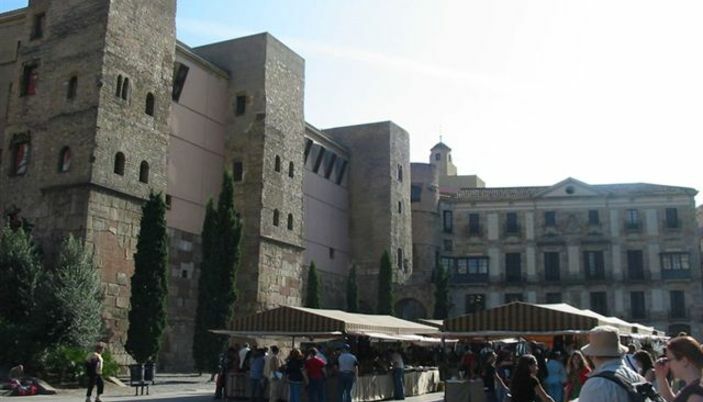 We appreciate this museum because of its inside courtyard, fresh and perfect for having a break while visiting the Gothic area of Barcelona! 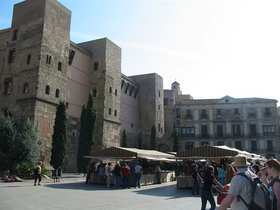 Plaça Nova is the place where the old city was born : Barcino. These letters are sculptured in the square. 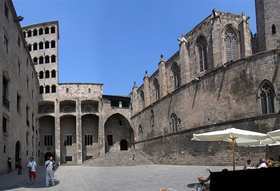 Two Romanesque towers flank the door Del Bisbal. This square becomes a market with antique dealers every Thursday from 9h to 20h. Festivals and Sardanas are held here also. 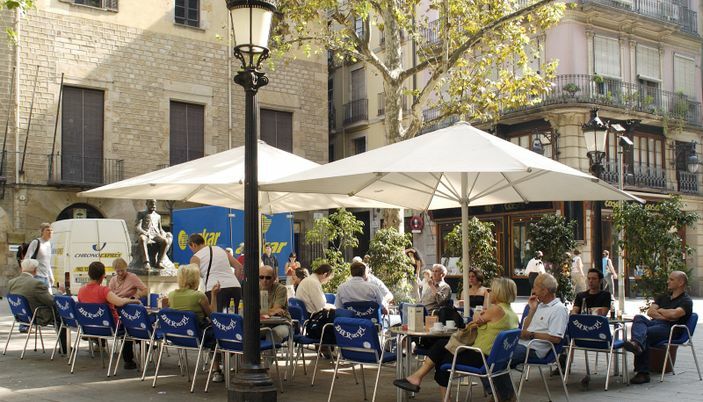 One of the best loved areas for artists and bohemians is the confluence of the Plaça del Pi, located just off the Ramblas. The area is dominated by the church of Santa María del Pi (XIV-XV c.) with its huge multicolored rose window. Frequent arts and crafts fairs, as well as sales of natural foods such as honey and "mató" (a mild cheese) are held in this square. We can also find here the house of the Gremio de los Revendedores, which dates from 1685. 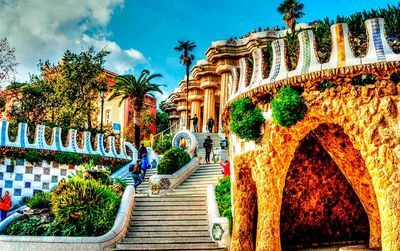 Barrio Gotico is the first place to visit while in Barcelona. Beautiful and historic! !